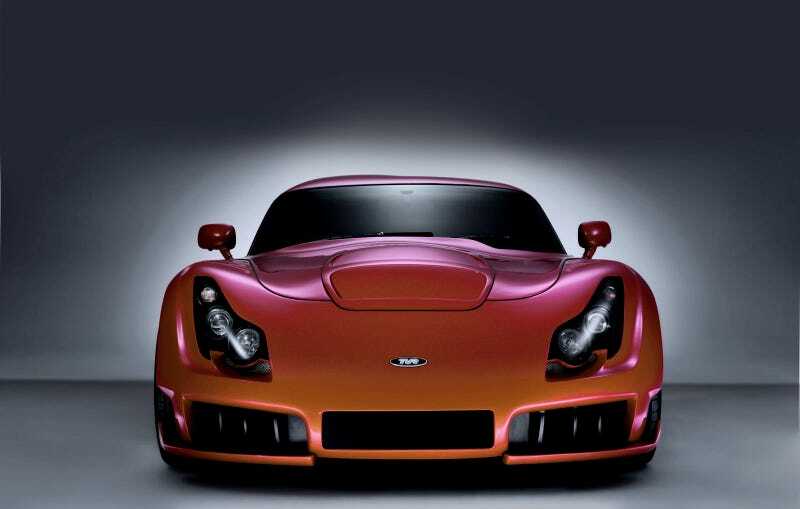 TVR is coming back! It’s actually happening, and now they’ve begun to settle on an exciting new home with track access and a state-of-the-art manufacturing process. V8s. Carbon fiber. Batshit insanity. It’s back. The Circuit of Wales, understood to be on the point of signing a £300 million deal with the Aviva insurance group for financial backing, will have an associated technology park intended to house firms like TVR and key suppliers. TVR’s owners are understood to be assessing two sites: a greenfield location beside the circuit that would need an all-new factory, and an existing building nearby. To meet its scheduled plan of selling its first cars next year, the company will need to make a decision very soon. TVR claims to have already sold all of its 2017 models (in a span of just six weeks), which are planned to pack a Cosworth V8 and a Gordon Murray design with his iStream manufacturing process, which is said to drastically reduce the time, energy, and money involved in production. The cars are said to come standard with a glass-fiber tub with the availability of carbon-fiber tub production as well. Murray expects the new new factory iStream production process to be churning out new TVR’s in a year at the least. Get hype.